We have the tools and talent to get the job done right the first time. We provide full service inspections of the physical structure and systems of a house, from the roof to the foundation, everything inside and out. Whether you’re buying or selling the home, we’ll provide an elaborate yet easy-to-read inspection report detailed with photos and videos. We have straight-forward pricing and additional services you need to complete your inspection overview. We know that buying a home might be the biggest purchase you ever make, and we realize how important it is to protect your investment. While some small quirks may be nothing to worry about, there could be more serious issues that only a trained home inspector can recognize. Of the many systems present in today’s home, one that is often overlooked is the sewer line. To determine the condition of the sewer line and if the system will continue to work properly, it is always recommend to have the sewer inspected, regardless of the age of a home. Just because your sewer line seems to be functioning as normal doesn’t mean there aren’t any underlying issues that will cause a problem in the future. 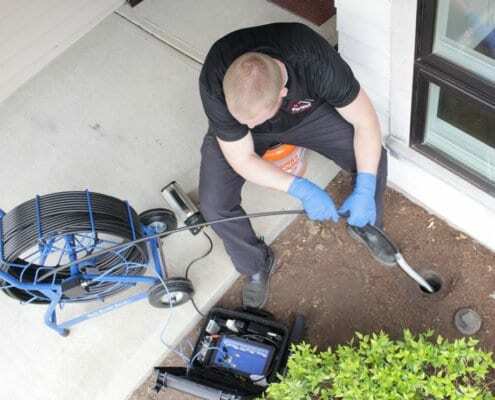 Having a sewer line inspection can prevent an unexpected emergency. Radon is an invisible substance that emits radiation, the second leading cause of lung cancer in the U.S. behind cigarette smoking. The EPA, The Surgeon General, and The American Cancer Society all recommend that every home be tested for radon. Our equipment and testing procedures ensure accurate and laboratory certified results. We believe a simple 48-hour test is not something you should overlook, your family’s health is too important. Our 24-hour guarantee is our promise to you. This means you will have the inspection report within one day of the inspection, or your money will be refunded. Although we’ve worked with inspectors who insist on printing the report on site, with our experience we’ve found that a “rushed” report can lack crucial photos, illustrations, notes, and format that allows you to understand our findings. Our easy-to-read HTML reports are mobile-friendly and highlight major issues with high definition images, filters and a table of contents all help you understand a little more about your home. We make our reports clean and easy-to-read so you can understand what the top priorities are. 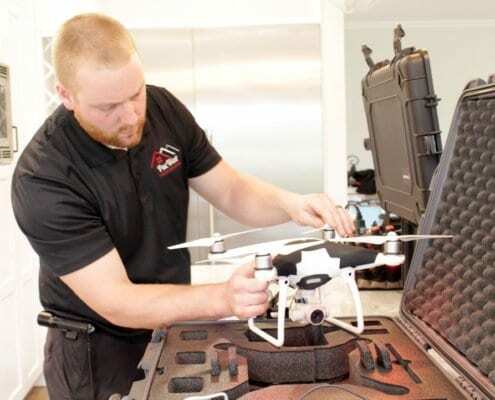 PacWest Home Inspections offers aerial imaging at a no charge, as-needed service with every home inspection. In rare occasions we are unable to physically inspect a roof due to inspector safety or the safety of the home. In these instances we deploy a drone to assist in capturing what could otherwise go unseen. A comprehensive roof inspection is one of the most important parts of a home inspection. We look at the roofing material to ensure that the roof has been properly installed and maintained, and to estimate the remaining lifespan of the current roof installation. As roof repairs and replacement can be very expensive, this is a critical step in the home inspection process. Thermal and Moisture Imaging are quite often the only way to understand why fresh paint, caulking, and texture has been applied to a specific area. This technology has been used for decades and in recent years applied to residential home inspections. These tools are are always present and utilized if needed at no additional charge on every home inspection. Most commonly it is used to find moisture intrusion that can cause mold and mildew but there is an additional fee for a full-scale mold test. They can be extremely costly to remove, so if you or your home inspector thinks that mold is present, it’s best to get some testing done. It’s no lie that we truly love what we do, and we work very hard to make sure every customer is satisfied. At the end of the day, it’s all worth it when our customers think the same. Home inspections are usually the responsibility of the buyer, because a home inspection is part of the “due diligence” of buying a home. The seller does not have the responsibility of paying for a home inspection. However, you may be able to negotiate for the seller of the home to cover some of the costs of the home inspection as part of the “seller concessions”. It may seem unfair that you have to pay the cost of a home inspection yourself. But remember this – the inspection, along with the appraisal, is one of the two most common contingencies that allow you to back out of a home purchase without steep penalties. 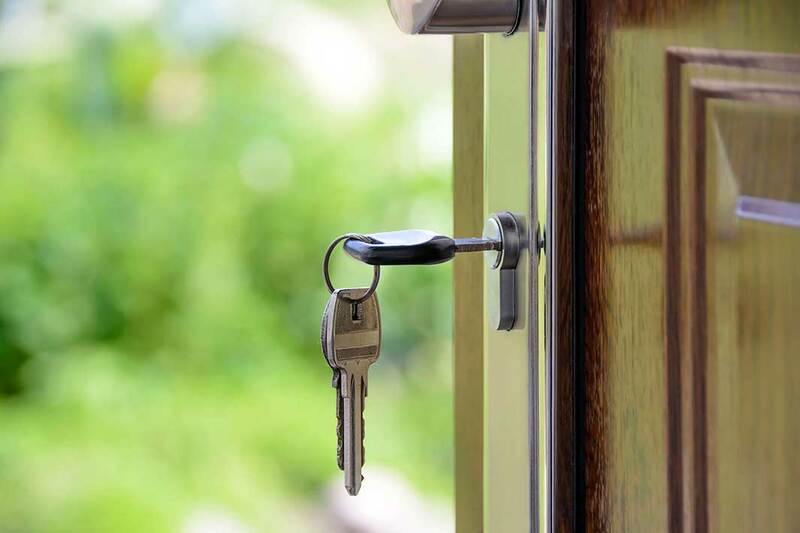 If the inspector finds that there are serious issues about the home that have not been disclosed by the buyer, you may be able to back out of the sale – without any kind of monetary penalties or legal issues. It is never worth skipping a home inspection. 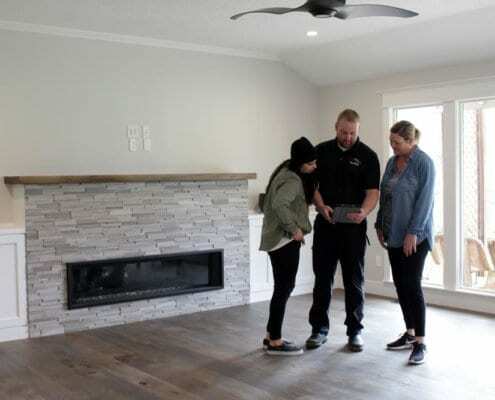 Even if you are confident about the value of a home and its condition, a professional home inspector can find issues that you did not notice – which may give you the ability to negotiate a lower price, or back out of the deal entirely. This peace of mind is worth the cost of covering a home inspection yourself. It depends on the conditions of the real estate market and the inspector that you choose. Most buyer agreements set out a certain number of days within which a home inspection must be completed (typically 10), to ensure timely inspections. In general, it’s a good idea to have a home inspector lined up before you finalize the purchase of a home, and need an inspection. This will ensure that you can get the home inspected quickly, and get a good idea of its overall condition and value. It will also keep you from breaking the terms of the contract. The home inspection itself usually takes about 2-3 hours, during which time the home inspector will check all of the major systems and structural componets of the house. For larger homes, this process will take longer – for small homes and condos, it may only take 1-2 hours. You are welcome to accompany the inspector during this time, to ensure that you understand any issues they may report. After the inspection is done, a complete home inspection report with photos and videos will be sent to you within 24 hours. This report will summarize all of the major findings of the home inspection, ensuring that both parties understand what the home inspector has found. Yes – but you probably don’t want to. You are responsible for paying for the cost of an appraisal, which will be required by your lender. This means you’re going to pay $300-$500 or more for an appraisal agent to examine the property. If you have the property appraised before inspection, you could end up wasting that money because the inspection could reveal major concerns such as severe structural issues, which result in you walking away from the sale – and we have never heard of appraisal money getting refunded. So, as a rule, it’s good to have the inspection conducted before an appraisal. You could save yourself some serious time, money, and headaches. Technically, yes. The term “closing costs” can be confusing. Closing costs typically include every additional “cost” associated with buying a home. Real estate agents usually estimate closing costs – and their estimates typically include all special inspections like home inspections, sewer and radon inspections, etc. The same is true of appraisals. Though they are considered part of the “closing costs”, you do not pay for them when you close on the home and buy it – you pay for appraisals when they are performed. If your real estate agent has given you an estimate of closing costs, it generally includes common inspections. However, you should know that you will have to pay some of these fees in advance of the actual home purchase – and depending on the condition of the home, your fees and closing costs could vary from the real estate agent’s estimate. Be prepared for this. As a rule, any appliance that is “built-in”, such as a dishwasher that cannot be removed, or any appliance that will be sold with the home is tested for function. However, it’s important to understand the limitations of this inspection process. Most major appliances will simply be tested for basic functionality. For example, the inspector may turn on the oven to make sure that it heats up, or test all of the burners on a range to ensure that they are all functioning properly. Your inspector is only concerned with general functionality – whether or not an appliance turns on, and has basic functionality. If you want a more in-depth evaluation, you will want to hire an appliance technician, which will carry an additional fee. However, this may be worth the price, particularly if the home has custom, built-in kitchen appliances which may be very costly to repair or replace. So, the short answer to this question is “Yes.” The long answer is that your inspector will do basic functionality testing of major appliances, but is not responsible for verifying the perfect operation of major appliances – just that they are functional and safe. No. Home inspections are, in many states, optional, and not required for a loan. Home appraisals, however, are mandatory. No bank or lender will generally give you any kind of loan without conducting an appraisal first. If you choose not to have a home inspection, your mortgage lender is still happy to perform an appraisal, and allow you to take out your mortgage, as long as the appraisal results are good. But this can be an incredibly bad decision. This is done in order to make sure that you are paying a proper amount for the home. If you’re trying to take out a loan for $400,000, for example, and the appraiser believes the home is only worth $250,000, the lender may refuse to give you the loan. Home inspections, on the other hand, are conducted to convey the condition the property including expensive issues, such as water damage, a leaky roof, damage to the foundation, faulty HVAC systems, plumbing problems, and so on. Home inspectors evaluate every element of the home that they can, to ensure that you know of any issues which may cost you tens of thousands of dollars, should they need to be repaired. This gives you the chance to negotiate a lower price – or back out of the sale altogether, with a contingency clause. A home inspection is the only way to fully understand what you are buying from a functional standpoint. An appraisal simply does not offer the same benefits. Because of this, you should never skip a home inspection. It’s simply not worth the risk. What to Do During a Home Inspection? This is a question we get all the time. The answer is different for everyone and really a lot of it depends on the house. We encourage our clients to attend the inspection and look around yourself for any items or details that you may find interesting or have questions about. Chances are we will have it in our notes and will address them in our summary and report, but an active conversation can be beneficial for all involved. If you’d like to wait till the end to ask questions that’s fine too, either way we will be there to answer all of them. The inspection is also a great time to take measurements for appliance whether you’re bringing your own or buying new. You can also plan where furniture might go and if you have questions about future remodels, just let us know, were happy to give you our input. On the flip side of this, what do you do if you can’t make it to the inspection? In short, not much, we’ll do our job and send over the report by the following morning. After you and your Realtor review the report, if you have any questions, we are always willing to host a phone conference to go over the findings. The same amount of support will be there whether you attend or not and regardless the report will have all of the findings listed with photos and videos. Every home inspector is different because they generally come from different construction backgrounds. 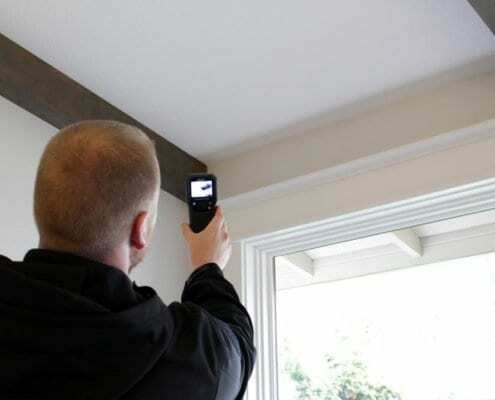 We all follow similar standards of practice that limit some aspects of a home inspection such as cosmetic. It is important to remember that the purpose of the home inspection is to find out if any major issues exist. What Does the Seller Typically Fix? Is Anything Required? This is a question we generally recommend asking your Realtor. There are many reasons for this but the main one boils down to negations. For example, if you were one of 15 offers but now you want $20,000 in repairs, whether they are legitimate or not, what is to keep the sellers from saying no and planning to accept the next offer. The same situation can happen the other way if you were the only offer, this could give you the potential to save $1,000’s. Regardless in this situation, the home inspector is not the professional in judging the market, the houses value, nor do they have insight on the offers and what price you are paying, this is why we recommend hiring a qualified Realtor. With that being said, what we typically see being asked for are safety and health related issues. Radon mitigation, mold remediation, repairing of structural components that could result in injury, and moderate to severe electrical issues are some of the most common repairs that are asked for because of their health and safety risks. Items such as a leaking roof, major rot in siding and structure, foundation failures, and HVAC systems and water heaters that are no functioning are also common grounds for a repair request because of the financial cumbersome they entail. So, is anything required to be fixed? This can be a grey area depending on the type of sale but typically, items that an appraiser might call out are required to be fixed to allow for financing or to properly appraise the dwelling. This may include items such as; Smoke and CO detectors that are outdated, missing, or not functioning. Strapping and TPR valve downspouts that are missing on a water heater. A proper heat source that is not functioning and providing heat to bedrooms. And typically all alarming safety issues that could result in injury. The important thing is to discuss with your Realtor what you would like to be repaired and consider their recommendations. Like your home inspector, the Realtor does not have an emotional attachment to the home, so their reasoning may be more realistic. What Should a First Time Home Buyer Know? Buying a home can be a scary process, the term “hurry up and wait” is one that always comes to mind. One big thing to remember is the home inspector is on your side, they don’t fail or pass homes, that can’t prevent you from buying a home, they use their years of experience to collect information about a home and deliver to you. There are guidelines for home inspectors of what information to collect and what needs to be inspected, but nothing specifically identifying how they must deliver it. Talk with your Realtor and make sure you hire a home inspector who delivers a quality report with color photos, videos, commentary, and recommendation. A good home inspector should review a house from top to bottom including all major structural components that he or she can get to. Expect the infrastructure such as the plumbing, electrical, gas lines, and specific appliances to be tested. The doors, windows, outlets, and even locks are typically all standard as well. Chances are when the home inspection is complete, that home inspector will know more about your home than you would in 10 years of living there, so ask questions, read the report, and follow up in the future if you have more questions. Information is power and ideally with this information you and your Realtor can make the proper decision whether the house is still right for you and if you would like to ask for something to be repaired. One mistake most first-time home buyer’s make is not having a Sewer Scope and Radon test completed. Major sewer issues can add up into the $1,000’s, sometimes even reaching $15,000. A home with high Radon levels can be a serious health issue which would need a mitigation system installed to lower the concentration to safe levels. Typically these services each run $125.00 and yet some decide to skip them and come to regret it later. What are the common problem areas found in a home inspection? Should the buyer be present for a home inspection? Yes, the actual inspection can be a great learning process for a homebuyer! By being there you can feel confident knowing you are receiving a thorough and complete inspection, but this also allows the inspector to explain any issues in person- some details can be lost in translation when reading a report. This is also a good time to address any concerns you might have and bring them to the inspector’s attention. What should I be asking my home inspector? Any questions about the current condition of the home and how to maintain it- let your inspector help educate you on the home you are looking to purchase, that’s their job after all. Try to avoid focusing on minor cosmetic issues and get their professional opinion on what problems should really raise a red flag. What does a home inspector check? A home inspector should examine an entire house from the top of the roof down to the soil, inside they move room by room including the attic and crawlspace or basement. The primary purpose is identifying structural and major system flaws including anything safety related. Cosmetic items are not part of the standards of practice and generally don’t make it into the report. 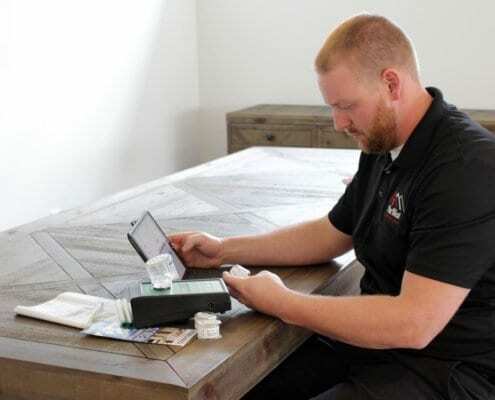 There is only so much time a home inspector has at the house and their top priority is to protect your family’s health, pocketbook, and investment. Contingency Clause- This protects you, as the buyer, by allowing you to walk away from the deal if any major issue is found during the inspection. No surprises- Know exactly what you’re buying so you limit any surprise expense repairs down the road. Nobody wants to buy a money pit. Negotiating- If problems are found and repairs are needed, the inspection report becomes a negotiating tool for you. You can either request credits from the seller for known repairs that need to be made, or you can request that they fix any issues before closing. Should I avoid buying an older home? Age can be just a number when it comes to homes, SOMETIMES…. Many older homes were built to last for decades and even centuries, but if they haven’t been well-maintained or have structure/foundation issues, this might not be the best investment for you. Home building techniques and materials have evolved and become more efficient so things like electrical wiring, plumbing, foundation, and roofing in an older home can be just that…old. Your home inspector can help you gage how big of a hurdle these issues might be during a home inspection. Most things can be fixed, replaced, and upgraded. What an older home may have that can’t be compared is its location. Always remember that an older home is tried and trued, it’s likely had decades of time to troubleshoot the small things and adapt to its environment. How to steer clear of purchasing a “money pit”? The best way to ensure that you are purchasing a quality home is to have a home inspection done by a qualified and reputable inspector. You might consider going the extra mile and request their additional services, like a Sewer inspection or Radon test. Are there any plumbing issues I should be concerned about? What is the lifespan of a home? A lot of things can affect the life expectancy of a home. Things like regular maintenance, climate, and how well-built the home is each play a significant role. Because an expiration date of a home doesn’t exist, we have houses in America that date back to George Washington. Neglected maintenance, deferred system upgrades, and failure to adapt the home to changing environments will likely lead to its demise. Most modern homes built with wooden structural supports and a concrete foundation could see 100 years or more of use. New and better materials are developed everyday which has only improved the potential lifespan of a home but everything requires maintenance and nothing will last forever. With specific needs of an inspection time or day, please let us know and we will do our best to accommodate your needs. Select a previous tab to go back rather than using the browser back button. When only one home inspector is available, it will show only his time slots and list his name in the top left corner of the final page “Submit”.